Here’s where I am on the KSH wrap as of last night. Since I last showed you the wrap a couple of days ago I’ve changed it twice. 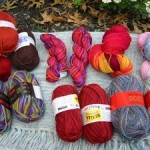 Once to try out a different stitch pattern (I love Barbara Walker but sometimes too many choices is not a good thing!) and then to change the needle size. My eyelets look like craters to me! Last night I met up with Ronni and Kathy and Ronni helped me see that my eyelets were normal and really not craters. Seems I’ve been looking at the lace too close up to tell what it’s really going to look like. Thanks, Ronni! You probably saved me at least 3 more tries before I realized that one myself! 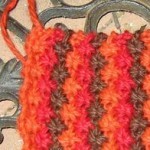 So I’m back to using the original stitch pattern. Today’s problem? I think it’s too narrow. I’m only halfway through a repeat so it’s not the end of the world. But seriously, it’d be nice to make some real progress on this thing! 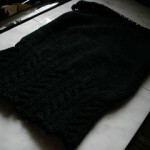 Did I mention I want to knit a big border along the narrow ends of the wrap when I’m done? Well, I’ve been searching around for pretty border patterns and came across a GREAT resource for free lace edgings and insertions. Some of the edgings could even be converted into all over designs for shawls or scarves. I’m particularly fond of Amy’s Double Leaf Lace and Perfection Leaf Lace. They’re variations of each other, and I can’t help but wonder if I’d be able to massage the pattern into an all-over. Oh, one word of caution about some of the charts on the site. I noticed that the WS rows are charted the way you’d knit them on that row. Meaning, if in words it says Row 1(WS): Purl, that the chart shows purls. 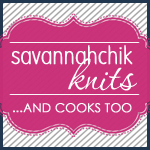 It should really show knits, since charts indicate what the stitches look like on the right side rows. I sent an email to the Sarah Bradberry to let her know as well. Seriously though, it’s still an amazing resource and I’m happy to have found it! Thaks for the great link! I know what you mean about the Barbara Walker books – all those patterns are way too much fun to try out (and another and another!) Which one id you settle on – it looks beautiful! ohh! how awesome is that site!! i really like the amys double leaf lace, because of the softer edges. although, if you want somehting more spunky, i would go with the other! 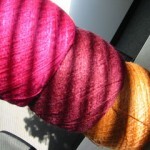 i cant wait to try lace!